Negotiators for the United States agreed to a draft peace deal with the Taliban on Jan. 26, according to Taliban officials, drawing closer than ever to ending the U.S.’s longest war. The deal, which isn’t official until agreed to by both sides, calls for the withdrawal of foreign troops from Afghanistan in 18 months, in exchange for a ceasefire from the Taliban, among other items. Taliban sources provided the draft pact to Reuters. Details of the draft deal surfaced after U.S. special peace envoy Zalmay Khalilzad conducted six days of talks with Taliban leaders in Qatar. Khalilzad landed in Afghanistan on Jan. 27 to consult with the nation’s leadership. “Meetings here were more productive than they have been in the past. We made significant progress on vital issues,” Khalilzad wrote on Twitter as he headed to Afghanistan from Qatar. Taliban leaders have long refused to negotiate with Afghanistan’s government, dismissing it as a puppet of the United States. Khalilzad’s reference to “intra-Afghan dialogue” underlines that Washington is adamant about bringing the two sides together to reconcile a vision for a post-war Afganistan. The Taliban’s hard-line Islamist views, especially those on the rights of women, clash with the freedoms protected by Afghanistan’s constitution. “The U.S. is serious about pursuing peace, preventing Afghanistan from continuing to be a space for international terrorism & bringing forces home. Working with the Afghan gov’t & all interested parties, the U.S. seeks to strengthen Afghan sovereignty, independence & prosperity,” Pompeo wrote on Twitter. A Taliban statement issued later also noted progress on troop withdrawal and other issues, but said more negotiations and internal consultations were required. It wasn’t clear whether the draft described by the Taliban sources was acceptable to both sides or when it could be completed and signed. “The policy of the Islamic Emirate during talks was very clear—until the issue of withdrawal of foreign forces from Afghanistan is agreed upon, progress in other issues is impossible,” said Taliban spokesman Zabihullah Mujahid, using another name the group calls itself. 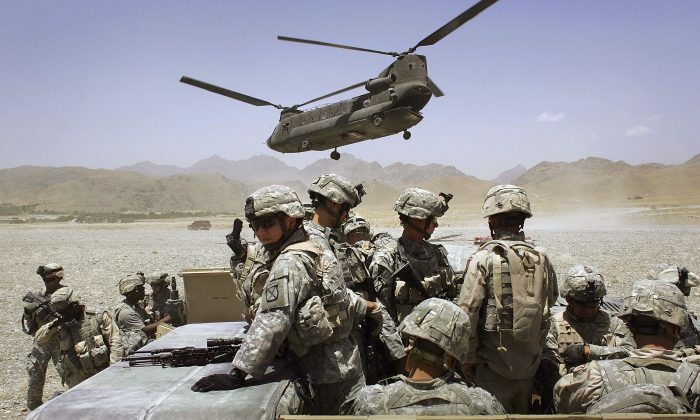 According to the Taliban sources, the hard-line Islamic group gave assurances that Afghanistan won’t be allowed to be used by al-Qaeda and ISIS terrorists to attack the United States and its allies–a key early demand by Washington. They said the deal included a ceasefire provision but they had yet to confirm a timeline and would only open talks with Afghan representatives once a truce was implemented. 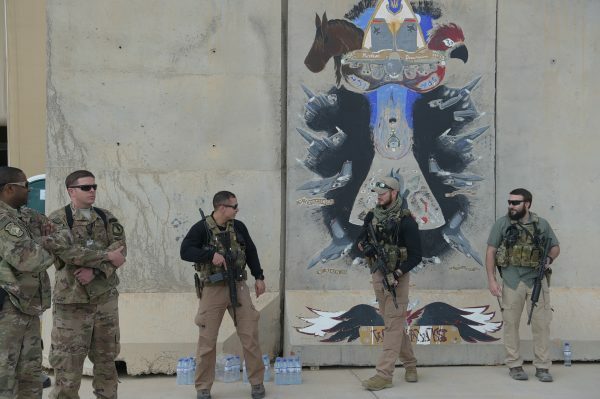 The United States has about 14,000 troops in Afghanistan.